Not a lot of airplanes have made such a buzz when launched like the Airbus A380. Still, to this day, it’s one of the biggest passenger planes to soar through the sky. No other aircraft provides a smoother, quieter and more comfortable flight. Due to our love for airplanes, especially the A380s, we’ve put together a fact sheet on one of the coolest airplanes ever built. The two-story A380 has a maximum takeoff weight of 575 tonnes – that’s about five blue whales! The A380 is the largest passenger airliner in the world and when launched, airports had to upgrade their facilities to accommodate the giant. It has 40% more usable space than the second largest plane – the Boeing 747. An Airbus A380 can provide seating from 525 to 853 passengers. The A380 has a total flying range of 15,200 km which means that it’s used to service two of the longest non-stop flights in the world: Emirates Auckland-Dubai and Qantas Dallas/Fort Worth-Sydney. 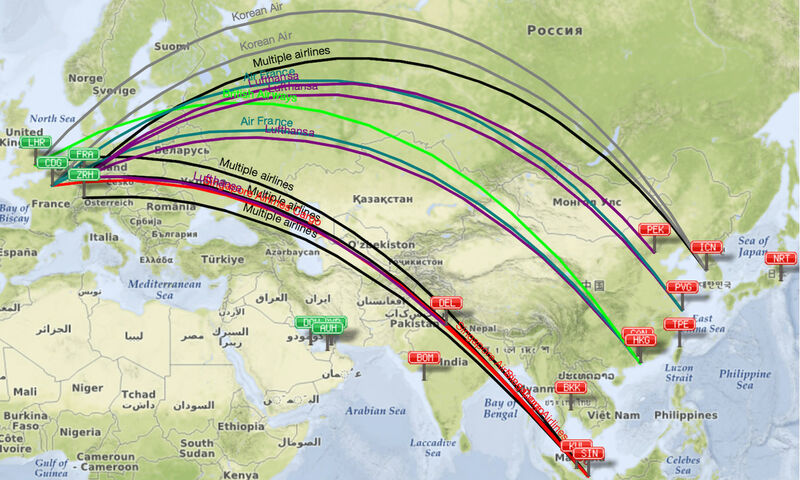 An even bigger lover of the A380 is Emirates Airlines which has the most A380s in their fleet – 94 (plus 12 on order). With infrastructure struggling to keep up with demand for landing slots and airport gates, the superjumbo allows the airline to increase passenger volume with fewer aircraft and fewer flights. Emirates sends nine A380 flights from Dubai to London every day! The first ever airline to have an A380 in their fleet was Singapore Airlines who started flying it in 2007. At the airport, other airplanes have to wait up to three minutes before they can start their takeoff after an A380 due to the wake turbulence from its four engines and wingtips. The wingspan of an Airbus A380 is 79,75 meters – that’s nine London’s double deckers. 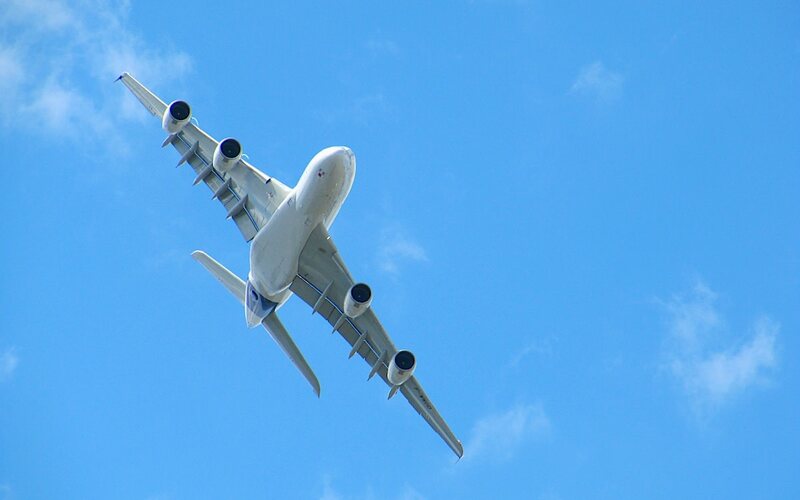 The asking price of one Airbus A380 is a whopping $428 million dollars – that’s a LOT of money. It takes 34 people and 15 days to repaint one A380! East Coast USA to Europe. The best way to cross the pond in the economy is to take Airbus A380 double-decker. Why Do People Love the A380? A survey conducted by Airbus found 20% of passengers said they would pay a premium to fly on an A380, even in Economy class. And they are right because even in Economy, you get an extra legroom compared to other airplanes. Plus, the A380 has one of the quietest cabins ever built. It’s so quiet that even on takeoff, it’s almost eerily quiet. Because the A380 is so large and heavy, you’ll get a very smooth ride without feeling much turbulence. 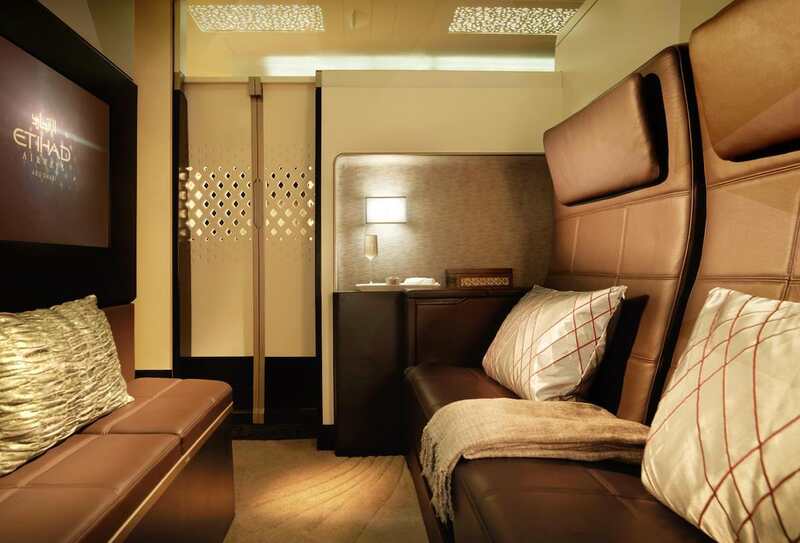 Etihad innovated its cabin space to the next level by creating the First Apartment and the Residence luxury living spaces on their A380. 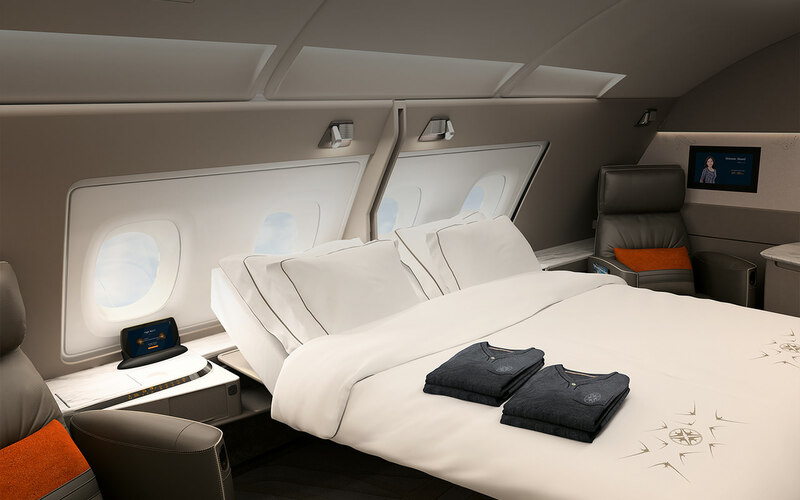 Singapore Air offers Double Suites with the centre divider between rooms to make way for a luxurious double bed on their new A380. What Is the Best Way to Book A380 Flights? Finding and booking A380 flights may require extensive searching online. So Airbus created a special website iflya380.com just for this. You can use it to check A380 flight prices directly from airlines, how great is this?! Even better, before booking always try the risk-free Beat My Price service at Flystein and save a few hundred dollars per trip! With more complex trips, you could use Flystein experts to do all research for you with a Build My Trip option – just mention #A380 in the trip description to get the most affordable and most comfortable itineraries. Need help organizing your perfect A380 trip? Get the most affordable and comfortable flight from our experts!